Catcher “Oil” Smith, a bench-jockey and brawler extraordinaire, played on five World Series teams in the 1920s. Behind the plate, he perfected tactics that distracted and intimidated hitters. A potent left-hand batter himself, he finished his 12 seasons in the majors with a .303 lifetime average. “He probably was involved in as many fights as any player in the game and was regarded as one of the most colorful players in the golden era of sports,” the Associated Press wrote of Smith when he died in 1963.1 Columnist Westbrook Pegler gave Smith the nickname “Oil,” based on the way Brooklyn fans pronounced Earl Smith’s first name. Smith’s parents were Jordan and Julia Belle (Mayberry) Smith. He was the first of their two sons. His brother Luther was born in 1898, the year their father died. Their mother was of English descent, but her family had been in America for generations. After their father’s death, the two boys and their mother moved in with her parents. When she worked, Belle Smith was a seamstress. In 1905 she married Enoch W. “Ed” Scott, a farm laborer, carpenter and driver for a transportation company. Newspapers in and near Hot Springs paid no attention to Smith until he already had played three season in the minors, beginning in 1916. Baseball-Reference.com and the 1957 Baseball Register entry on Smith among “Former Stars of Game,”8 list him as having played briefly for Dallas in the Texas League that season, but neither provides any statistics. Smith caught in 47 games the same year, hitting .269 with Waxahachie in the Central Texas League. Hall of Famer Ross Youngs had played with Waxahachie the previous season. Smith played closer to home at Fort Smith, Arkansas, in the Western Association in 1917. He was among the league leaders in batting at .332 and in home runs with 21.9 Also with Fort Smith that season was pitcher Mule Watson, who later became a teammate of Smith’s in the majors. Smith was sent to Camp Pike in Little Rock, not far from his Arkansas home. He was assigned to the 162nd depot brigade before the war ended and was discharged in late November. Shortly before he left the service, he married Bessie Riley, 20, in Hot Springs on Nov.10, the day before the armistice was signed. In a letter to a friend in Rochester after his discharge, Smith said he looked forward to playing there again in 1919. At least two major league teams had other ideas. Smith raised eyebrows soon after when he returned his first Giants’ contract unsigned. “Smith is the first ball player who was a holdout … before he even played,” the New York Times wrote in March. [13Several Giants’ pitchers and catchers arrived to work out in Hot Springs in February. The unsigned Smith, who had touted his hometown in a letter to McGraw, took part.14 By mid-month, he had signed for a token raise and was in camp with the team in San Antonio, Texas. McGraw, not one to gush over rookies, was impressed with the 5-foot-10, 180-pound Smith in spring training. “Our new catcher has made an excellent showing and should develop into a valuable player,” the manager told a reporter.15 As was his custom, however, McGraw brought Smith along slowly. The rookie catcher spent most of the 1919 season warming up pitchers. He appeared in just 21 games, starting only seven times. Five of those starts were in September. Smith made his major league debut on April 24, his only start that month. It would be two months before he started again, and then three more months before his next start. By that time, McGraw must have figured Smith was ready and started him three days in a row in late September. He finished his rookie year with just 40 plate appearances – all against right-handers -- and hit .250. McGraw had Johnny Evers, the longtime Cubs infielder, as a coach in 1920. Smith was put under Evers’s wing, with the two even rooming together.19 Despite his small size, Evers had a reputation as a combative and argumentative player, a trait he may have passed on to his 5-10, 180-pound pupil. Smith established himself as the Giants’ primary catcher against right-handers in 1920, starting 75 of the 82 games in which he appeared behind the plate. His 91 games total and 285 plate appearances would be his highest as a Giant. Just nine of his plate appearances were against lefties. He put the ball in play 251 times, striking out just 16 times, while batting .294. When the season ended, he accompanied most of his teammates to Cuba for a series of 16 exhibition games. Then he went home to Hot Springs. Apparently no longer involved in the butcher shop, he spent the winter hunting and fishing in the nearby Ozarks. The 1921 season established the persona that would persist throughout Smith’s career. Again, he played almost exclusively against righties. He and Frank Snyder shared the catching duties on a team that would win the World Series. Smith hit .336 and a career-high 10 homers in just 261 plate appearances, which helped produce a .537 slugging percentage, also his tops. He also began to get on the nerves of his manager and opposing batters. Smith came off as a hero. “Anybody that knows me is aware that I’m not quarrelsome. If this man had come here in a regular way … I would have made no objection,” the New York Tribune quoted Smith as saying.20 The story made the front page of the Tribune and was picked by the wire services, but before long Giants management was denying it took place. What casts doubt on the locker-search story is what happened two days later. By then, it was reported that the 125th precinct had no detective named Dolan. McGraw confirmed that Smith had been in a fight with a Dolan who was not a cop, but a Giants coach. The manager fined Smith $200 for punching Cozy Dolan during a batting practice dispute over Smith’s insistence on hitting balls into the right-field stands, where in those days somebody had to retrieve them.21 Whether these reported fights were two separate incidents never became clear. The Tribune reported them that way as did other papers that picked up the stories. Smith drew his first suspension from McGraw on August 3. Angered at being pinch-hit for with a right-hander on the mound, Smith took to “sassing” McGraw on the bench and in the clubhouse. A Giants’ spokesman said McGraw had accepted several apologies from Smith earlier in the season, but finally had enough.22 The suspension lasted until Aug. 15. Bill Klem, the one umpire for whom Smith later expressed respect, was the first to eject Smith. Klem did it twice in 1920, once before the start of a game despite McGraw’s protests. Smith would be ejected in April 1921 by another umpire for throwing his glove in a ball-and-strike argument. The next time Smith was involved in an ejection, it was someone else’s. After he made a few comments to which the normally even-tempered Phillies outfielder Cy Williams took umbrage and punched Smith in the face.23 Umpire Barry McCormick banished Williams, but likely did not forget Smith’s instigation. In mid-September, McCormick ejected Smith for arguing balls and strikes. Smith didn’t start Game One of the World Series against the Yankees, but he ended it – by hitting into a ninth-inning double play as a pinch hitter. He was behind the plate the next day, however, and made his presence known. He soon began jawing with George Moriarty, the plate umpire, and making derisive comments to Yankees’ batters. His taunts enraged outfielder Bob Meusel, who reached first base and kept trading barbs with Smith. After advancing to third, Meusel let the catcher know he intended to come home with his spikes high at the first opportunity, wondering out loud if Smith was brave enough to hold his ground. Sure enough, on the next pitch, Meusel, several inches taller and 20 pounds heavier than Smith, was on his way. The Giants catcher bobbled the ball and was nowhere near the plate as Meusel scored. Landis, who showed up in the Giants’ dressing room before the series ended, offered to rescind the fine if Smith apologized to Moriarty. A defiant Smith told Landis to take the $200 and buy himself a new hat. To make sure Smith paid his fine, Landis had it deducted from his World Series check. Smith and Snyder again platooned behind the plate in 1922. The Giants and Yankees repeated as pennant winners. Smith appeared in four of the five World Series games but in just one as a starter. Snyder, coming off a career-best season, started the others. Back home in Hot Spring after the Series, Smith got into a fistfight with a local police officer outside a tobacco store. The officer tried to arrest Smith because his car had an outdated registration.27 No charges were filed, probably because Smith was by now a local celebrity. Before leaving for spring training, Smith told a Little Rock newspaper he intended to turn over a new leaf. “Earl has … decided not to be so belligerent…. It cost him considerable prestige last year,” the paper reported.28 By this time, Smith had begun selling real estate in Hot Springs in the off-season. Clearly, Smith was not long for New York. By June 1, he had started just six games and was hitting .194. On June 7, he and pitcher Jesse Barnes were traded to the Boston Braves for veteran catcher Hank Gowdy and pitcher Mule Watson. The Giants were on their way to another pennant; the Braves were headed to 100 losses. At one point, player-manager Dave Bancroft, who had been friendly with Smith when both were with the Giants, fined his catcher $500 for violating team rules. By July 1924, the Braves tried to slip Smith through waivers so the team could sell him to Los Angeles in the Pacific Coast League. The Pirates put a stop to that by claiming Smith for the waiver price. Pittsburgh was on its way to 90 victories, with even better days to come. Smith, who never forgot the $500 fine and kept demanding his money back, would play a key role. Smith responded to the change of scenery with a.369 average and .586 slugging percentage in 39 games for the Pirates for the rest of 1924. The catcher missed two weeks at the beginning of September with a sprained thumb but returned without missing a beat. Not long after Smith joined the Pirates, he made a difficult catch of a foul pop near the Giants dugout where McGraw was seated. “What do you think of that one?” Smith yelled before spitting tobacco onto McGraw’s shirt. McGraw had to be restrained when he tried to go after Smith with a bat.32 In late July, National League President John A. Heydler wrote the first of several letters to Smith, warning him that he faced suspension unless he toned down his arguments with umpires and opponents. The next season, Smith posted career highs in games played, plate appearances, hits, doubles and runs batted in and hit .313. Just as important, his combative personality seemed to light a fire under the Pirates, who won the pennant and defeated the Senators in the World Series. Despite the warning, Smith was at his aggravating best during the 1925 World Series against Washington, the defending champions. The harassment got so bad the Senators held a team meeting before lodging a protest with Landis, who asked Pirates manager Bill McKechnie to tell Smith to cool it. Washington slugger Goose Goslin probably got the worst of it, with Smith flapping his arms when Goslin approached the plate and making snide comments about Goose’s prominent nose. Those might have been Smith’s milder antics. Goslin, with Smith abusing him, looked at a third strike to end Game Seven. Making contact with opponents’ bats, usually before they were swinging, was a Smith specialty. Hall of Fame historian Lee Allen described Smith as “a tipper of bats beyond parallel” in a 1968 column.37With Roger Peckinpaugh at bat in Game Seven, Smith became the first World Series backstop whose bat-tipping resulted in catcher’s interference. With Smith’s help, the Pirates became the first team to a win a seven-game series after being down 3-to-1. Starting six games, Smith hit .350, including a key double in Game Seven. He would have hit an even .400 were it not for one of the most controversial catches in World Series history. Smith’s eighth-inning drive in Game Three was snared by Sam Rice before he tumbled into the temporary roped-off area in right field at Griffith Stadium. Rice eventually stood up holding the ball. Cy Rigler made the out call, provoking vehement protests by the Pirates, who were sure Rice had not held on. In a letter opened after he died, Rice insisted he had. Smith hit a career-high .346 – third in the N.L. -- in 1926, but the Pirates fell to third place. Heydler sent yet another letter to Smith that season, warning him to stop abusing umpires and opponents. A fight Smith instigated in 1927 sullied his reputation, even among those who admired him. On June 18 in Boston, verbal exchanges between Bancroft and Smith escalated to the point that Smith knocked the much smaller Boston player-manager cold after Bancroft had crossed the plate and turned away. Heydler suspended Smith for a month and recommended that the Pirates get rid of him. When Smith returned to play in late July, he injured himself jumping a fence in Boston to avoid being served with court papers. Bancroft had filed suit, seeking $15,000. 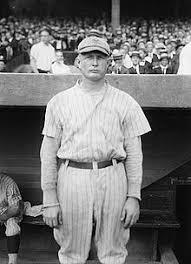 Although he hit just a combined .238, the worst full-season of his career, Smith went 3-for-4 against the Yankees’ Waite Hoyt in the one game he started in the World Series. He bounced back to hit .345 in 57 games in 1929, but after six hitless games in 1930, the Cards sent him to the minors. He played well enough at Toledo before moving on to Rochester. When the Cards’ starting catcher was injured, Smith returned to the majors for a two-game last hurrah. Connie Mack gave the Cardinals permission to put Smith on the World Series roster, but he saw no action. Smith gave it a try again in 1931, playing closer to home at Nashville and Little Rock, but with little success. When he was heard of next, in 1934, he was playing and managing the touring House of David team in the Midwest. Grover Cleveland Alexander was playing for the same team, as on occasion was the famous multi-sport female star Babe Didrickson. Whether Smith actually managed parts of four seasons in the low minors, starting in 1935, is unclear. Several sources, including the 1957 Baseball Register and Smith’s Bullpen Wiki page on Baseball-Reference, say he did. However, another Earl Smith managed in the Eastern Shore League at the same time. The 1935 minor league listing on Baseball-Reference for the Charleston team, for which Oil Smith supposedly managed and even played a few games, does not credit him as the manager. In 1936, Oil was signed to manage the Washington, Pa., team in the Pennsylvania State Association. However, the team lost its major league affiliation and folded before the season began. Smith preferred to stay close to home. He was a candidate to manage the Hot Springs team in the Cotton States League in 1937.39 McKecknie, his former manager, said early in 1939 that Smith was living on a houseboat, fishing and hunting in the Ozarks.40 Smith in April of that year was reported to have recovered from a long illness. His mailing address was his mother’s home in Hot Springs. When he registered for the World War II draft, he listed his marital status as divorced. Smith came out of retirement in 1947 when Hot Springs was preparing to field a new team in the Cotton States League. Players interested in trying out were told in a Sporting News ad to contact him. He served as a coach for the hometown Bathers that season. Smith stayed affiliated with the Bathers at least until 1952, when he helped run a tryout camp. Still combative at 53, Smith got into a fight in a trailer park in February 1950 and ended up hospitalized with head injuries. The other man in the fight claimed Smith attacked him with an iron pipe before he was able to subdue him. The next year, Smith was among the 1925 champs presented with gold watches in an August ceremony at Forbes Field. Smith’s mother lived in Hot Springs until her death in 1960. His brother had died in 1954. Smith may have continued to sell real estate, but it didn’t get in the newspapers. He died June 8, 1963, in a Little Rock hospital. The cause was cirrhosis of the liver. He is buried in Little Rock National Cemetery. This biography was reviewed by Norman Macht and fact-checked by Stephen Glotfelty. 2 Smith signed both his World War I and World War II draft registration cards “Earl V. Smith.” His death certificate and tombstone also renders his name as “Earl V. Smith” -- V. for “Vital.” I could find no explanation for the variance in his middle name. 4 Angelo L. Louisa, The Pirates Unraveled, McFarland, Jefferson, N.C., 2015. Louisa contacted multiple sources to determine the education levels of all of the 1926 Pirates. 5 Al Spading brought his Chicago team to Hot Springs in 1886, the first recorded spring training held in the South. 9 The Western Association leader that season had 43. A teammate with Muskogee had 22, the only other player ahead of Smith and with 20 or more. I could find no park dimensions for Muskogee or Fort Smith. The 1957 Baseball Register lists Smith as having played for Fort Worth -Tulsa, likely the same team. 12 “Giants Get Earl Smith,” New York Times, January 3, 1919: 6. The amount of cash has been variously reported as from $5,000 to $12,000, with the higher amount the most widely cited. The Giants also optioned two players to Rochester as part of the deal. Hoyt refused to report to Rochester and pitched in 1919 for two other minor league teams before being sold to the Boston Red Sox. 18 1920 U.S. Census. There is no record that the couple had any children. Smith listed himself as “divorced” on his World War II draft registration. 24 Ruth, Meusel Invaded Giant Clubhouse, Seeking Heckler,” The Sporting News, October 19, 1921: 7. The story says this happened after the third game of the 1922 series, but Rawlings with the Giants in the 1921 series, not ‘22.